Saturday night has turned into pizza night at my house. We just finished a delicious Grandma pizza. It’s toppings are so simple. 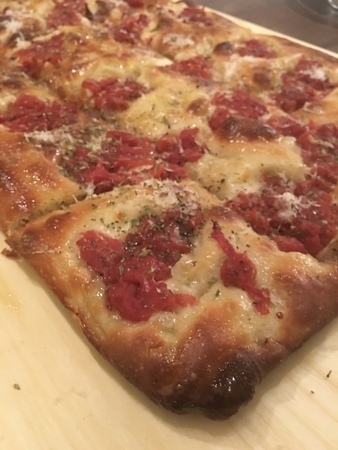 I have to say Sicilian style pizzas are fast becoming my favorite. I’ve made them three times now. The dough is like the best breadstick I’ve ever had! Nice job Paul. 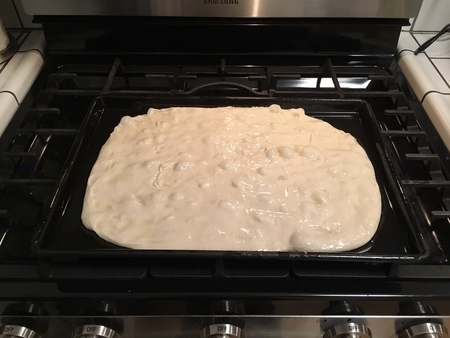 The Pizza Bible book has really given me an appreciation for pizza styles made in a pan. Detroit and Sicilian are two of my favorites these days. The Sicilian and Grandma pies are great for parties.. I usually start out with one and then move on to smaller pies. 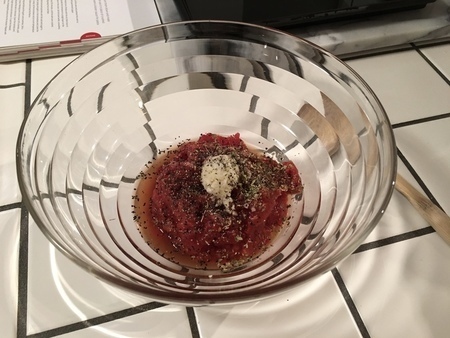 What kind of tomatoes did you use? Thanks Raj! 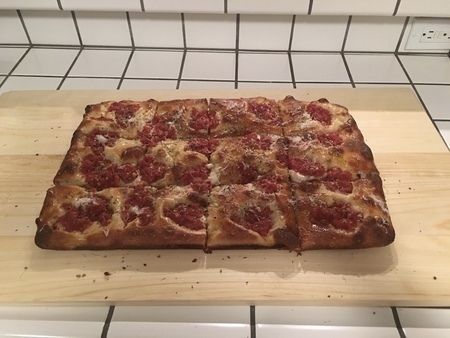 I’m having friends over for the Oscars next Sunday and plan on making a Detroit and Sicilian. For the Grandma, I hand crushed two 28 oz cans of Bianco Dinapoli whole tomatoes to make the sauce. Your guests will be very happy. Great choice on the tomatoes. The Di Napolis truly shine when they're chopped or crushed. Tony's flagship restaurant, features a pie called the Di Napoli which has sliced Di Napoli tomatoes. It's fantastic. At first glance, it resembles a Margherita, but everything is slightly tweaked: high gluten crust, low moisture mozz instead of fior di latte, sliced/crushed di napolis instead of San Marzanos. And finally, rosemary in addition to basil. Another beautiful pizza Paul, well done! I am looking forward to learning how to make this one as well. 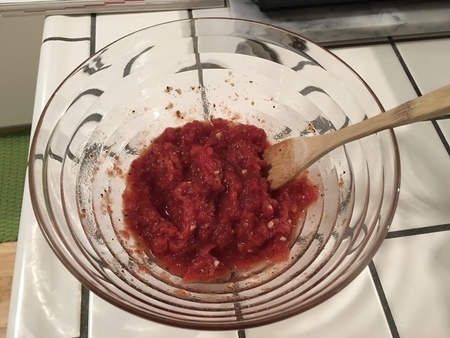 I would have never thought a tomato could make such a huge taste difference, that is until I got Di Napoli tomatoes in my home kitchen and tasted them. I still laugh at myself for even thinking that tomatoes were all the same quality, so long as they were the same type. My previous thoughts on tomatoes changed months ago in the prepping and baking a New Jersey Tomato Pie with Di Napoli tomatoes. The smell and taste were indescribably better, the experience changed everything.